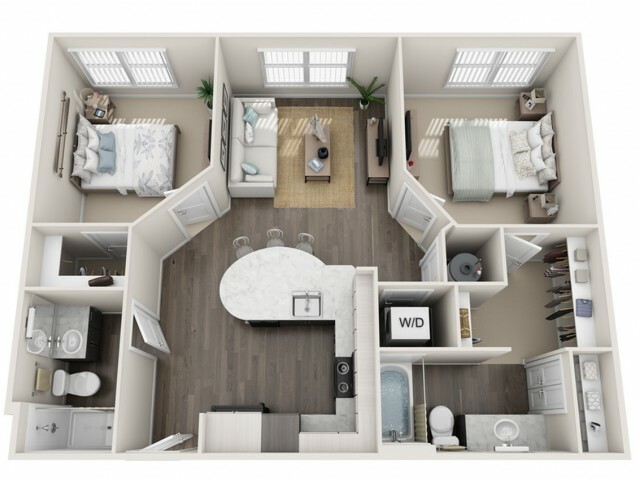 The Lofts at Eden offers premium choices for apartment living in Sanford, FL. Choose from the apartments with the best in-home and community amenities in the area. 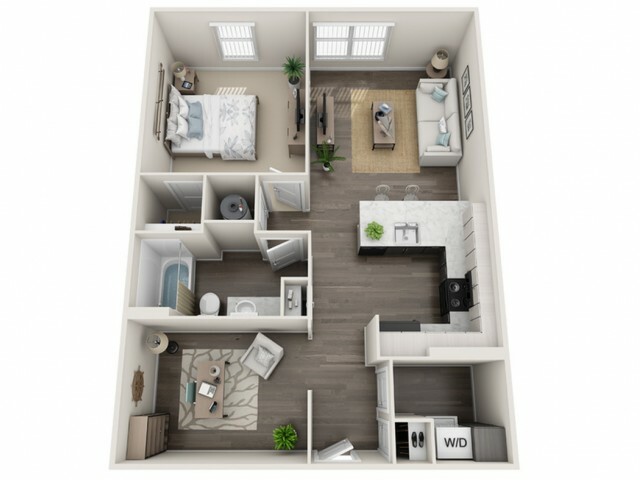 We offer multiple one- and two-bedroom apartment layouts so you have all the options you need when it comes to choosing the right apartment. Each of our apartments is fully equipped with the best in-home amenities. Channel your inner chef in our gourmet-inspired kitchens replete with a full slate of appliances. Sleek designs and contemporary themes make living at the Lofts at Eden a dream. 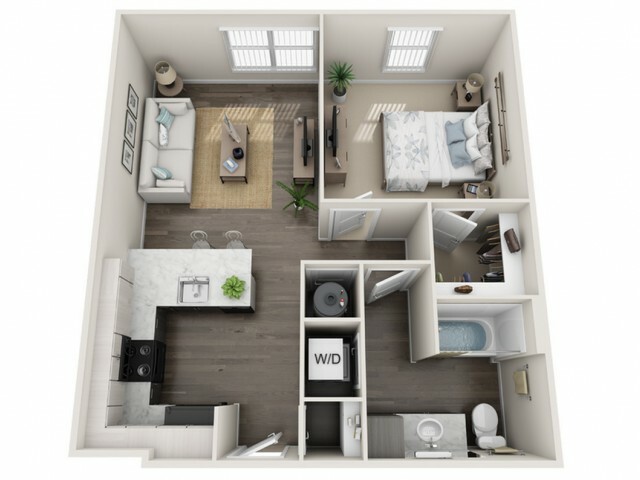 You'll be sure to find the open spaces you need to make your apartment your home. As a convenience for our residents, our community is pet-friendly. We even include a Bark Park to help extend your living space outdoors. Your dogs are sure to love it. 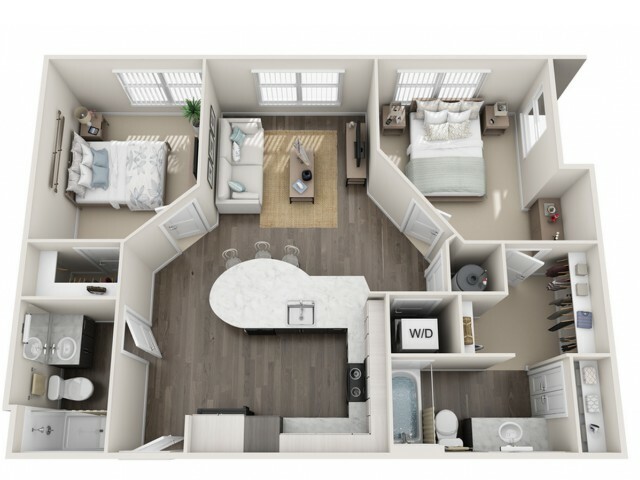 Our floor plans also feature plush carpet in the bedrooms and closet areas to help your apartment feel more like a home. Call today for a tour of your new home! Renderings are an artist's conception and are intended only as a general reference. Features, materials, finishes and layout of subject unit may be different than shown. * Pricing and availability are subject to change. Valid for new residents only. Square footage displayed are approximate. Discounts will be calculated upon lease execution. Minimum lease terms and occupancy guidelines may apply. Deposits may fluctuate based on credit, rental history, income, and/or other qualifying standards. Additional taxes and fees may apply and will be disclosed as per governing laws and company policies. No weight limit on dogs but standard aggressive breed restrictions apply. $300 non-refundable fee when you move-in and $25/month pet rent for each pet.